NOA Medical leads the long term care industry in providing a more comfortable sleep deck for residents. The NOA Elite II rises from a low of 7" to high of 30" and has a safe working load of 600 lbs as standard. The Elite II offers a number of standard features on the bed, including: center step safety lock, four year warranty on electronics, a convenient 12 button handset, and more. 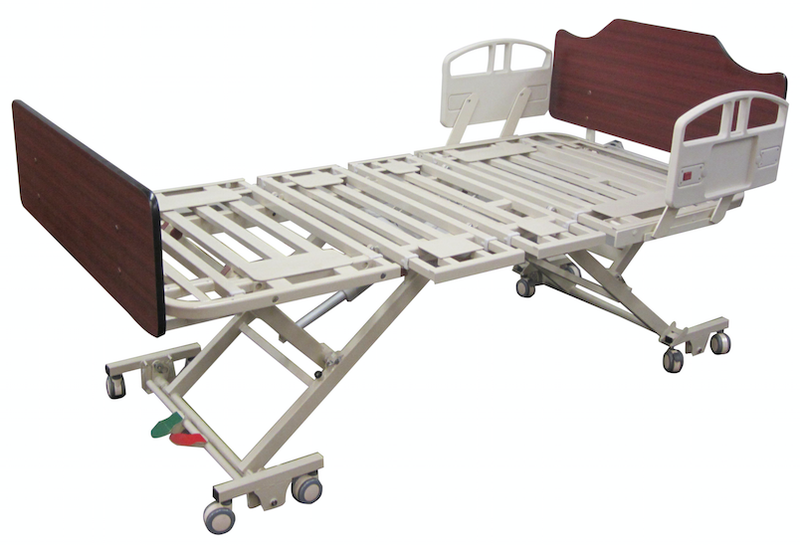 bed width, with side rails 40"
deck height range 7" to 30"